What’s wrong with Todd Gurley? Much of the Rams’ high-powered offense was a result of his major contribution during the regular season and one game in the playoffs, but L.A.’s star running back, who carried the ball on his club’s first play after claiming he was healthy all week, sat on the bench much of the night during the Patriots’ 13-3 win in Super Bowl LIII. In the defensive slugfest, marking the lowest scoring in the game’s history, Gurley carried the ball just 10 times for 35 yards and caught one pass for minus-one yard. His no-show lackluster performance came two weeks after carrying the ball only five times in the Rams’ overtime victory over the New Orleans Saints to get to the big dance Sunday at Atlanta’s Mercedes-Benz Stadium. He sat out the final two games of the regular season with a knee injury but carried for over 100 yards in the Rams’ divisional round playoff game victory against Dallas to put them in the NFC championship. After packing the ball on L.A.’s first play from scrimmage against the Patriots, Gurley – who had the most touchdowns during the NFL regular season – rushed only twice more before intermission. 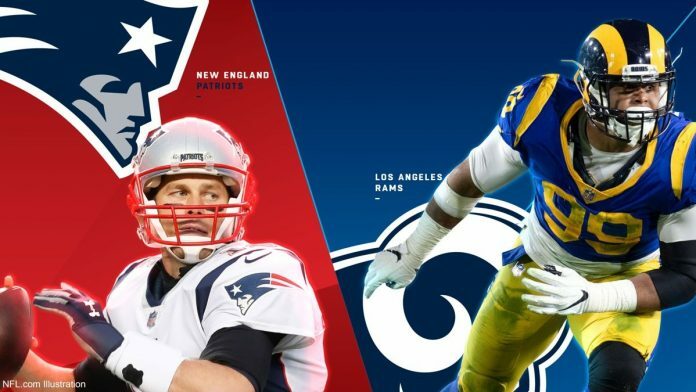 The Rams had an incredible defensive game plan to stop Tom Brady and company, but the Patriots were even better as they held Los Angeles to just 62 yards in 18 rushes. The Rams moved the ball in spurts, but of their 14 first downs only two came on running plays. They had 198 yards through the air. The Rams defense was brilliant in every way, except when it came to stopping one of the smallest players on the field, 5-foot-10, 198-pound Julian Edelman, who played big, really big, catching 10 passes from Brady for 141 yards, earning the Patriots’ slot receiver the most valuable player trophy. Tip your hat to L.A.’s defense, limiting a team that scored 78 points in its first two postseason games to only 13 – 10 of those in the fourth period. Not much worked for New England, except for Edelman, who scooted free all night to make big plays. The sure-handed receiver, who caught seven passes in the first half for 93 yards, was double teamed on occasion, but consistently found seams in L.A.’s soft defense, separating himself from the Rams’ zone coverage. New England took a 3-0 lead with 10:29 to go in the second quarter on a 42-yard field goal by Stephen Gostkowski. The Ram’s tied late in the third quarter after going 42 yards in 10 plays, Greg Zuerlein booting a 53-yard field goal after Rams’ quarterback Jared Golf connected with Brandon Cooks on passes for 15 and 18 yards on the drive. New England went in front 10-3 on a two-yard run by Sony Michel with 2:49 left in the contest, going 69 yards in five plays, Brady hitting tight end Rob Gronkowski for 18, Edelman for 13 more and Gronkowski again for 29, taking the ball down to the two. The Patriots finally sealed it with a Gostkowski on a 41-yard field goal at the 1:12 mark, helped by an under-thrown pass from Goff, which fell into the hands of New England’s Stephon Gilmore for an interception. Both defenses were at the top of their game in a brilliant standoff. The Rams kept Brady in check through three quarters until the 19-year veteran found a way to get it done once more on the big stage. In the end, Brady and Edelman were shown in a long embrace on the field, enjoying a special moment filled with emotion.